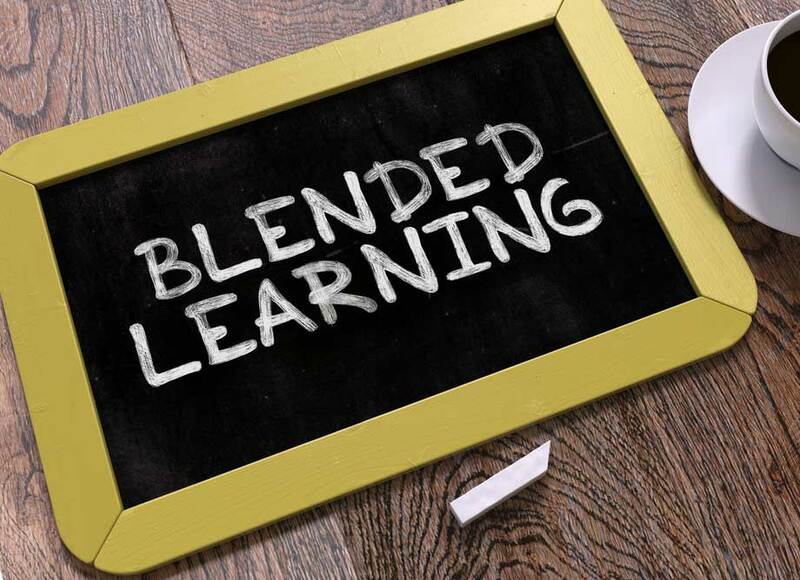 When you start to talk about “blended learning” with educators, parents, and students, you are bound to get reactions ranging from enthusiastic to trepidatious to a confused laugh and a head shake. All these responses are natural! It’s not a term that always comes up, and frankly, when it does it can have as many definitions as it has definers — but don’t worry! As with anything, the more you learn about blended learning, the more you’ll come to understand and appreciate it. So what is it? Where does it come from? Why should we use it? The short answer is you probably already do, and have throughout your entire life. The long answer is a bit more fun and nuanced – like blended learning itself – so let’s take a closer look. To put it in simple terms: blended learning is a mix of traditional classroom methods with digital and online media. This can take a lot of different forms, from online classrooms to tablets to even mixed reality games, but let’s not get ahead of ourselves. As always, it’s best to start simply and explore the general idea of how BL translates to the student. Let’s use BookNook as an example, we use small group learning sessions combined with our digital platform to create a fun and personalized learning sequence for students. What’s so great about it? It’s great because blended learning always comes back to being about the student experience, about fun, about collaboration, about working together to come up with solutions. Those are skills that not only translate to literacy, but are tools that students will carry with them throughout their entire lives. With BookNook, students control the pace of their learning while still receiving the benefits of traditional small group teamwork. It’s the natural progression of an educational movement that started a long time ago, and one that stretches to exciting new horizons for educators and students. Here’s the first misconception we can clear up: blended learning isn’t new. Some educators trace it all the way back to Sir Isaac Pitman’s first correspondence course in 1840, but I think we can safely put its start about a hundred and forty years after that — sometime in the early eighties. 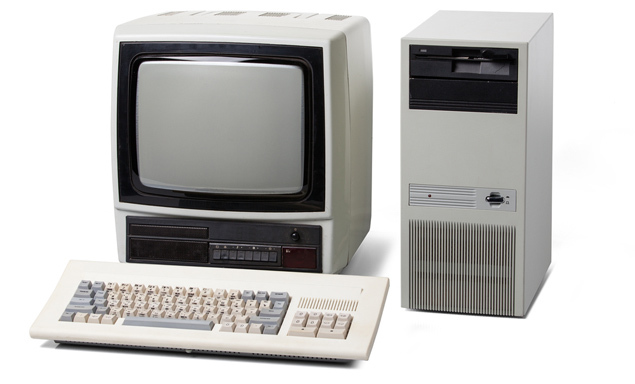 The eighties were the beginning of the personal computer revolution, a burst in technology that granted access to all kinds of people who had never seen or used a computer before. Almost immediately educators looked for ways to implement this in the classroom. For 80s kids, remember how excited you were on days when you got to go to the computer lab to take turns playing early versions of The Oregon Trail and Number Munchers on those giant heavy green monitors? Remember how it felt like a treat to be able to learn like that? The joy of discovery? That rush you felt was the start of your relationship with blended learning. The nineties saw further technological advancements for the classroom. CD-ROMs meant that educators could now implement video and sound into their lesson plans. The proliferation of personal computers meant that whole classrooms could use technology to augment a student’s learning. It was no longer a surprise to see a computer in the classroom, now students expected it. The big push forward came from something we all take for granted now: the internet. Starting in the late nineties, the internet allowed for students to continue their education from home as educators could now upload content to use remotely. It gave them access to new swaths of information, making the world smaller and more connected. Blended learning pushed the boundaries of the classroom outward, allowing students and educators to learn in the same way no matter how far apart they were. This system wasn’t perfect. Many times participation in these programs meant that the school district or student had to have access to expensive technologies. This left many traditionally disenfranchised communities with an even bigger educational gap as they struggled to find the money and opportunities to keep up with more well-funded programs. It would be almost ten more years before some of these problems were addressed. The 21st century has been a whirlwind of technological increases. We’ve seen the explosion of tablets, a low-cost, effective tool that BookNook adopted early as an educator and student aid. That technology, plus blended learning initiatives started by President Obama, led to more BL opportunities for the traditionally disenfranchised communities who had previously been neglected. The internet meant equality for educators, but now – most importantly – it meant equality for students too. Blended learning meant breaking down the barriers between students and educators, creating a seamless flow of dialogue that fostered a nuanced and dynamic learning experience. Teachers weren’t just talking at students anymore, they were having a conversation with students. BookNook utilizes this philosophy by working with educators to create adaptive learning plans, full of diverse content that speaks to the student in ways that traditional media may neglect. Blended learning also comes at a time of great crisis in education. More than ever, schools are struggling to keep up with demand while living in these fiscally tight times. 80 percent of school educators now describe their schools as inadequately funded. 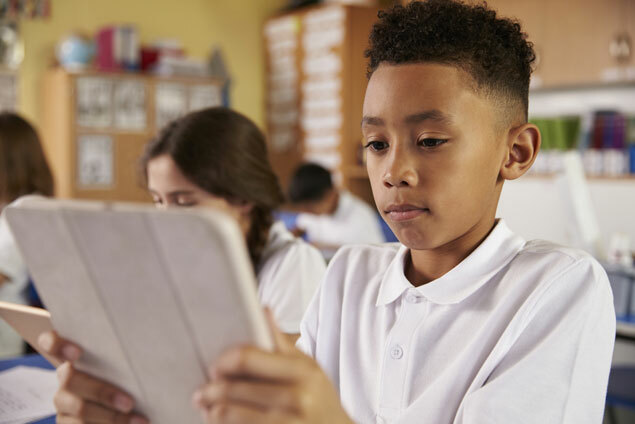 Blended learning is a way for schools to get the most bang for their buck, integrating low-cost online technologies with traditional teaching methods. It’s not just the future of learning, it is now the present. We started this blog with the goal of having a space to discuss, debate, and explore these ideas together with educators and students. We want to hear your voices, your concerns, and especially what you love about BookNook and emerging BL technology. Like any good blended learning experience, we need this to be a dialogue. So let us know what you think! We can’t wait to have you alongside us as we take this journey together.